Go online and search for the best side sleeper pillow reviews. For sure, the options will be limitless, each manufacturer claiming to have the best product that is available. Nonetheless, you should never decide in haste. Take time to differentiate one option from the other. With this, one option that you might want to take into consideration is Dream Supreme Plus Gel Fiber-Filled Pillows with two different options including standard (Set of 2), and king. Keep on reading and we will let you know more about this pillow. Polyester Gel Fiber Filling: The material that is used to fill the pillow is not as popular as memory foam or latex. However, its capability to provide comfort and support is impressive. It has no shift construction and has great loft recovery. More than just being good for side sleepers, its material is also an excellent choice for stomach and back sleepers. 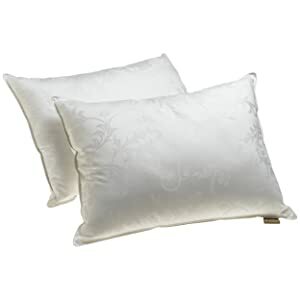 Cotton Shell: This pillow comes with a 370-thread count 100% mercerized cotton shell. The latter is known for being soft and gentle on the skin, especially for the face. It is also worth noting that it is hypoallergenic, which is one more thing that makes it an attractive choice. One-Year Warranty: This is the standard warranty coverage. However, there are some who did not like it because it is a bit shorter compared to the warranty that is offered by other manufacturers. Machine-Washable: This is a good thing when it comes to being long-lasting. Once the pillow gets dirty, you can just have it tossed in the washing machine. It will be effortless for the users to retain its best quality even through time. Hypoallergenic: If you have a sensitivity to allergens, this is going to be an excellent pick. You will not wake up sneezing or with cold. It is made from materials that can resist allergens, including dust and mite. Highly Pliable: This is one of the reasons why it is highly recommended for people who sleep on their side. It can be molded, folded, and crunched, which will allow you to customize its shape based on your needs and preferences. This is guaranteed to provide you with unmatched comfort. Affordable Price: If you are budget-conscious, this is also going to be an exceptional choice. Dream Supreme Plus Gel Fiber-Filled Pillows comes with a lower price than standard models, making it practical. Chemical Odor: From the time that it is opened, there is a foul odor. This may be disturbing for some and can be a reason for you to wake up in the middle of the night. The good news, however, is that it will naturally disappear within a few days. Under-filled: Another common complaint from the users is the minimal amount of filling compared to competing models. With Dream Supreme Plus Gel Fiber-Filled Pillows, you will be able to have a comfortable sleep. As one of the best pillows for side sleepers, it is made from a highly pliable material, although there are some who noted that it is softer compared to others. It may also have a chemical-like smell, but it is only for a few days. The best thing is perhaps its affordable price. This simply proves that high-quality pillow does not have to be expensive.